This is a good book for anyone that is interested in not only cleaning their mind but making their life calm and healthy. Having a family history of Alzheimer's this book was especially interesting to me. Many of the things that Dr. Dow says I have read elsewhere, but he goes into much more detail. According to the U.S. Department of Health and Human Services, only 17 percent of American adults are considered to be in a state of “optimal mental health. One American adult in ten takes some kind of medication to cope with depression. Some 10 to 15 percent of U.S. adults suffer from insomnia, and according to the CDC, 50 million Americans report an insufficient amount of sleep. ADHD diagnosis rates are through the roof. They’ve already tripled in children, and stimulant abuse is rising rapidly as more and more high school and college students are scoring Adderall to party or enhance performance. Many millions more are suffering from the condition known as mild neurocognitive disorder, which is similar to subjective cognitive impairment or mild cognitive impairment—all diagnoses for brains that aren’t working properly but don’t qualify for a diagnosis of dementia. Instead, we haze, daze, and wire our brains with caffeine, sugar, starches, electronics, distractions, and unnecessary stress—a recipe virtually guaranteed to disrupt our brain chemistry. And then we rely on short-term Band-Aids like excessive caffeine, antidepressants, sleep aids, and social isolation that ultimately exacerbate our problems. The way we eat, sleep, work, and live is flooding, starving, clogging, and disrupting our brains by destabilizing the levels of three crucial brain chemicals: serotonin, dopamine, and cortisol. We experience these biological problems as brain fog, scatterbrain, memory loss, fatigue, anxiety, and the blues. Over time, they turn into chronic insomnia, significant depression, persistent anxiety, and, potentially, dementia. Insomnia makes us tired, so we turn to caffeine and energy drinks, which keep us from sleeping, which in turn lead us to seek over-the-counter or prescription sleep aids. The sleeping pills produce residual drowsiness, so we awaken feeling listless and unfocused and inevitably drink even more caffeine. Over time, our mood worsens and our brain fogs, so we seek out antidepressants and perhaps some Adderall and yet more caffeine to help improve our focus. Then we need antianxiety meds and that extra glass of wine to calm ourselves down after all the stimulants we’ve ingested. ...nearly one out of ten Americans takes antidepressants, yet a recent large-scale study showed that nearly two-thirds of these people did not fit the clinical definition of “depressed,” making these medications a questionable choice at best. Yes, these people likely felt foggy, listless, unmotivated, or blue. And yes, they likely had real problems that required real help. But before trying Prozac, did they try anything else? Anything more natural? Permanently high cortisol can depress dopamine levels while preventing serotonin from binding to certain areas in your brain. High cortisol levels have also been shown to inhibit neurogenesis—the creation of new brain cells. What Your Brain Needs Proper nutrients, including the right vitamins, essential amino acids, and healthy fats Exercise Sufficient restful sleep Regular, healthy circadian rhythms Downtime for relaxation and restoration Purpose and meaning Spiritual practice A connection to something larger than yourself. Most omega-3 supplements have a near 1:1 ratio of EPA to DHA, but the ratio with the most data supporting mood improvement is approximately 7:1 EPA to DHA. The two brands that contain this ratio are OM3 Emotional Balance and Country Life Omega-3 Mood, both of which provide approximately 1,000 mg of EPA and just 150 mg of DHA. Omegavia EPA 500 is a brand with all EPA. For people with depression or anxiety, these high-EPA supplements can be a very effective alternative—or have a helpful additive effect—to prescription medications like Prozac and Xanax. The problem is that modern diets contain far too many omega-6s, especially in comparison to omega-3s. Omega-6s are found in a wide range of processed foods and refined vegetable oils, including the soybean oil that lurks in just about every single packaged food out there. To maximize the olive oil in your diet, you should be spraying olive oil on your (toasted flourless) bread at breakfast, adding a tablespoon of olive oil to your salad at lunch, and cooking your wild salmon in olive oil at dinner. The leaner the meat you choose, the less you’ll be exposed to these risks. Whatever type of meat you’re preparing, marinate before you grill, flip it frequently, and eat it medium rare instead of well done. All of these strategies have been shown to help reduce meat’s toxicity. People who ate the most red meat also had a significantly increased risk of pancreatic cancer, but not as much as those who ate processed meats. Since Vitamin D is fat soluble, it needs to be consumed with fat to be used by the body. Another affordable protein source to try as you cut back on meat is whey and casein protein—especially grass-fed or organic varieties. Whey protein helps you to burn calories during the day, and casein protein is great before bed, as it helps you retain lean muscle while you sleep. My fA Mayo Clinic study made headlines for its finding that people under the age of 55 who drink four or more cups of coffee per day faced a 21 percent increased risk of mortality.8 But another study found that coffee can reduce the risk of dementia and Alzheimer’s disease by 65 percent in people who drink between three and five cups per day.9 Remember: a cup is eight ounces. Trade in gin and tonic for vodka and soda with an extra squeeze of fresh lemon or lime. Curcumin, the active ingredient in turmeric, is a powerful antioxidant and anti-inflammatory that has been linked to improved performance on memory tests.12 Turmeric might also block the accumulation of the amyloid plaque that’s associated with Alzheimer’s disease. Overmedication can have potentially disastrous effects on our brains. Antidepressants, for example, may increase the risk of inflammation in the brain, and, as we’ve learned, an inflamed brain ages more rapidly and thinks less clearly. We simply can’t think and feel our best when our brains are struggling with inflammation. Another disturbing aspect of these medicines is known as the “polypharmacy,” in which one medication creates side effects that induces the doctor to prescribe a second medication, which in turn produces side effects that lead to the prescription of a third medication, and so on. Research shows that people who take off their shoes at the front door significantly reduce the amount of dust containing PCB toxins in their home. One study found that for every two hours spent watching TV, the risk of dying from any cause increased 13 percent, and the risk of developing type 2 diabetes rose 20 percent. A 2005 Harvard study found that even walking fast for 35 minutes had a significant impact on depression. A 2009 study looked at the relationship between SSRI antidepressants and what’s known as “emotional blunting.”2 The majority of subjects reported feeling dulled, numbed, or flat with general reductions in positive emotions, which they attributed to the antidepressant. But the most disturbing finding is how this blunting affected their ability to connect to others. Many felt detached from the people in their lives, including their significant other, children, family, and friends. So before popping a stimulant like Adderall or Ritalin to treat ADHD, first enroll in a mindfulness meditation class, which research has shown to be very effective.9 Or try the quick and easy techniques I introduce in the 7-Day Spirit Revolution. 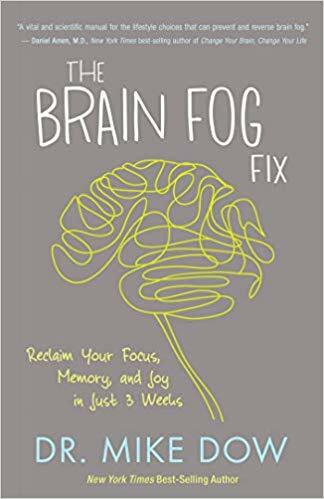 Some of these meditations are adapted from Dr. Jon Kabat-Zinn’s Mindfulness-Based Stress Reduction (MBSR) program, which was later adapted into an effective treatment for depression: Mindfulness-Based Cognitive Therapy (MBCT). One study found that merely looking at slides of nature photos improved attention in subjects.11 If photos work that well, imagine what an encounter with actual nature might do! For dessert, try organic, plain Greek yogurt with organic blueberries and stevia. A delicious smoothie with 80 percent vegetables and 20 percent fruit. I also love Quest Protein Bars, which are made from whey protein (whereas most protein bars are made from cheap, nonorganic soy protein isolate). While some of the flavors use artificial sweeteners, many don’t. Look for the flavors that say “no artificial sweeteners” on the front. I particularly like the Quest Chocolate Peanut Butter bar. Twenty seconds in the microwave and you have my go-to dessert. Flour (even those virtuous-looking whole-wheat varieties) has a through-the-roof glycemic index, meaning it raises your blood-sugar levels—the state we are trying to avoid. Make your own fried rice at home, with only ½ cup brown rice per serving (a big difference from restaurant fried rice, which is almost all rice). Make the bulk of your home-cooked dish with organic egg or meats, onions, chopped broccoli, red pepper, and diced carrots. Use just a tablespoon or two of olive oil to sauté, and finish with ginger, soy sauce, turmeric, and black pepper. When it comes to tuna, the “premium” whole white albacore actually has about three times more mercury than the very inexpensive chunk light tuna—but both still contain mercury and neither is a great source of omega-3s. You’ll never regret making the switch to wild salmon! Do something new today that gives you a sense of PLEASURE. Do something new today that gives you a sense of PRODUCTIVITY. Do something new today that gives you a sense of POWER. Do something new today that gives you a sense of PRIDE. Do something new today that gives you a sense of PASSION. Do something new today that gives you a sense of PEACE. Do something new today that gives you a sense of PURPOSE. ...studies of monks who meditate daily reveal distinct improvements in their prefrontal cortex, the part of the brain that makes decisions and controls emotional responses.